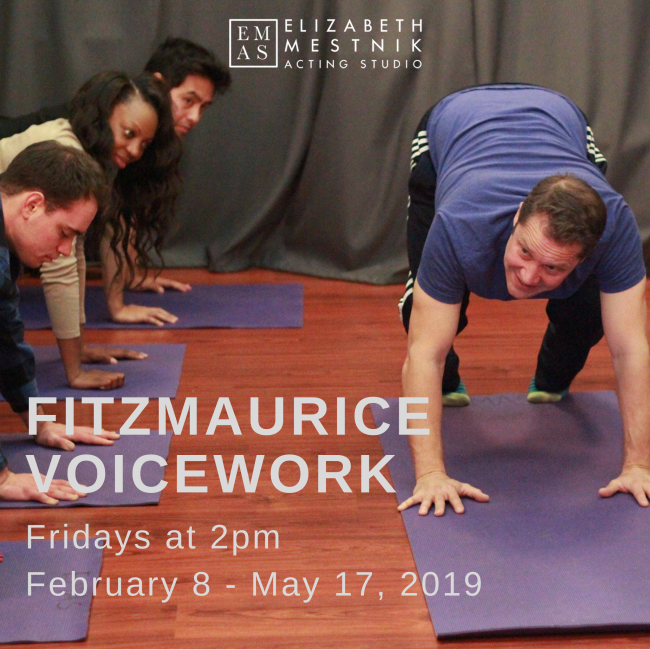 We’re happy to announce that enrollment for our 2019 Fitzmaurice Voice Workshop is now open. An actor is limited only by the range of his or her instrument. This instrument includes the voice, body, breath and emotional accessibility. This class allows students to add conservatory level voice training to their curriculum. The Fitzmaurice Technique is designed to let your body and voice work with freedom and full expression to access your creativity and emotional range. The Fitzmaurice Technique is one of the world’s most widely used vocal techniques. From Julliard to The Moscow Art Theatre, actors have benefited from it’s healthy approach to speaking, breathing, and releasing emotions. Please feel free to contact us or reserve your spot today through the form below.